If you're looking for a new spot to eat, you're in the right place. Yelp revealed its Top 100 Places to Eat for 2019 on Tuesday, and four tri-state restaurants make the cut. The ranking is based on the rating and volume of reviews and weighted to account for restaurants in spots with lower volume. Korai Kitchen (No. 22) in Jersey City, New Jersey, is the highest-ranked tri-state location. It is Jersey City’s first ever Bangladeshi eatery; all food is personally prepped by the chef and owner. The spot is known for great curry. JJ’s Diner (No. 32) in Pleasantville, New Jersey, is small, but offers great food that caters for anyone, according to reviews. 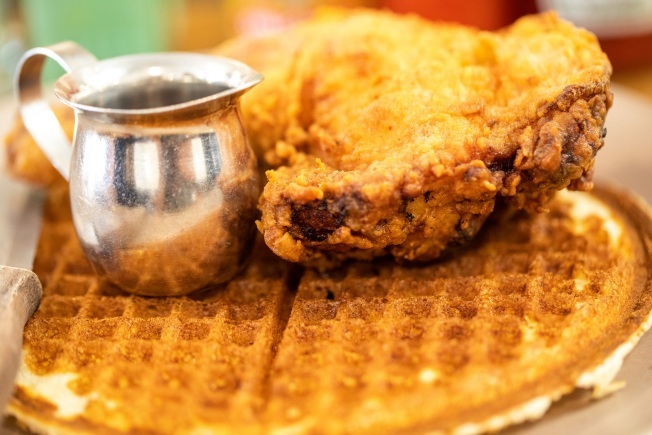 Chicken and waffles, anyone? OTIS (No. 34) is a restaurant and bar in Brooklyn that offers plates and cocktails, local brews, wines, and pleasant ambiance. As one Yelp reviewer wrote, "Don't question it, just come here and get the beef short rib and pork shoulder pasta." The Alcove (No. 50) in Sunnyside, Queens, makes the list for a second year in a row. It's known for its cozy atmosphere and serves lunch and dinner. People who go there seem to really like its local brews. Bottoms up! You can view Yelp's full list here and try out some of the local places for yourself.